Lion, Rooster and Growly Bear, Oh My! 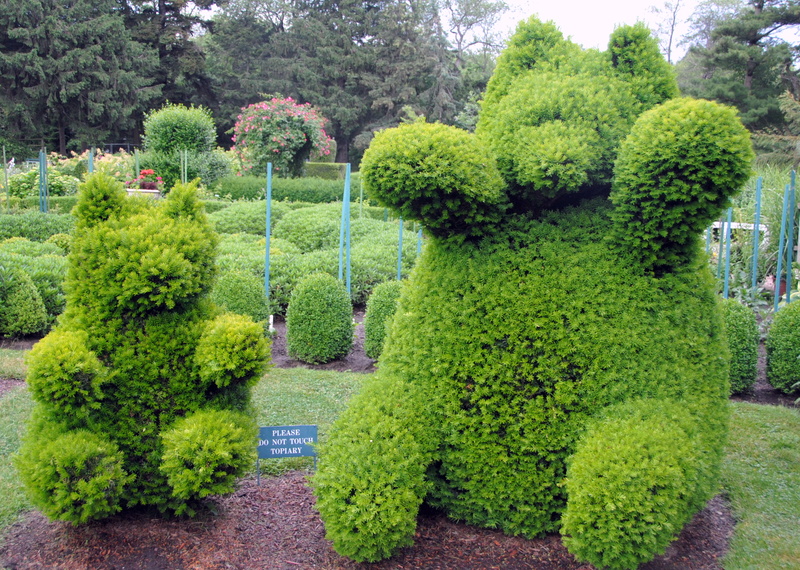 The Green Animals Topiary Garden in Rhode Island is the perfect combination of whimsey and talent. First of all, they simply grow plants, and to me, that’s a feat. Then they’re lush. And ultimately they’re shaped like a giraffe, spot the bird, or even a boar. Of course there’s a boar; that’s an obvious topiary choice. They’ve got baskets and pineapple, too. An arch – but that’s so banal. I mean, growing a hedge without disease and then getting a dimensional and proportional rounded edge; kid’s stuff. It was a delight to wander the gardens of this “historic country estate” and admire the joy and dedication of their work. And it was award-winning. One of the pictures in the slideshow is of a potting cottage wall covered in tags won at the county fair in the early 1900s. Love topiary? Check out another post about self-taught sculptor Pearl Fryar. What would you make into topiary?